Recently I got a package from Hishop and yeah! I'm pretty excited for this! I love false lashes although I don't really use it everyday. 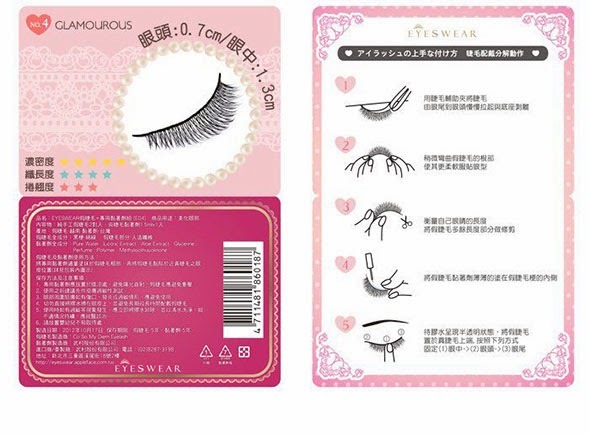 Today I am going to review this False Lashes from Taiwan called the Eyeswear E-Series Range and I got the Dolly and Glamorous ones! 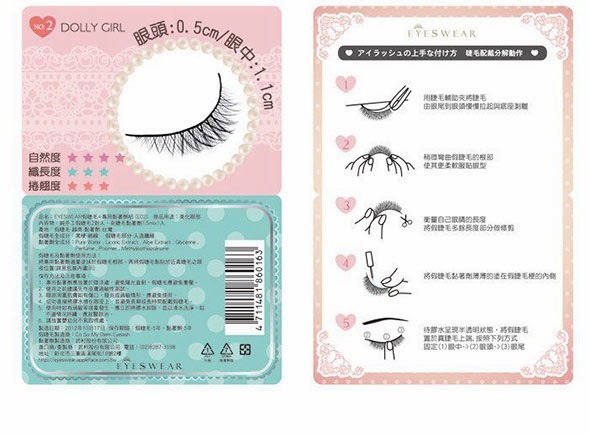 Each sets comes in 2 pairs and a eyelash glue. I freaking love this lashes. 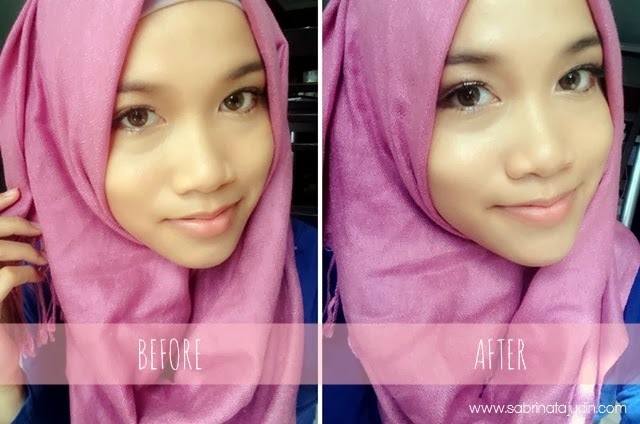 Its a cris-cros type of lashes and I never imagine it look so natural on me. Its super light and long to so you can easily trimmed to your desire length and eye shape. What else! Love the packaging! It looks super nice on my vanity table! It can stand like a frame. Hehe. I don't have nothing to like about it, I think I pretty much loving it! 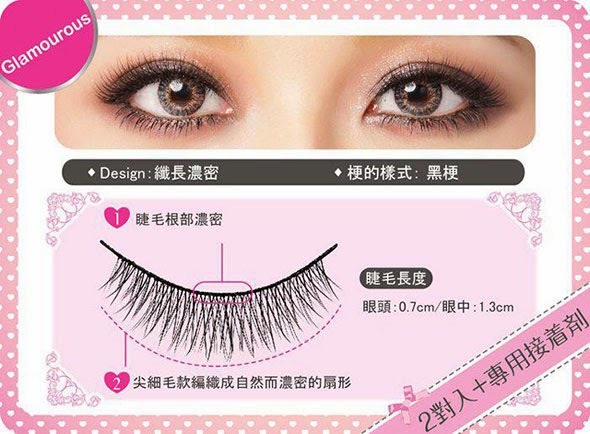 I totally recommend this false lashes to anyone who wanted a nice natural lash that it un-noticeable. I think it may look great on anyone! 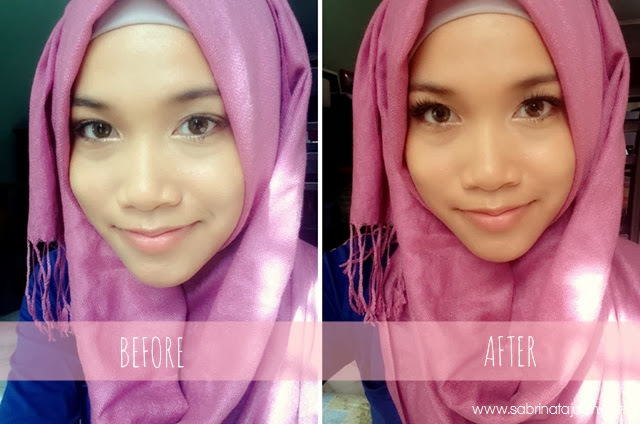 Although this pretty look dramatic but it does not look like that plastic weird looking lashes. It gives you this full rounded bright eye effect That kinda looks nice for a special occasion look! Of course I love this packaging too! The glue it self serve pretty well! Usually the false lashes that comes with the glue will ending up in the dustbin. 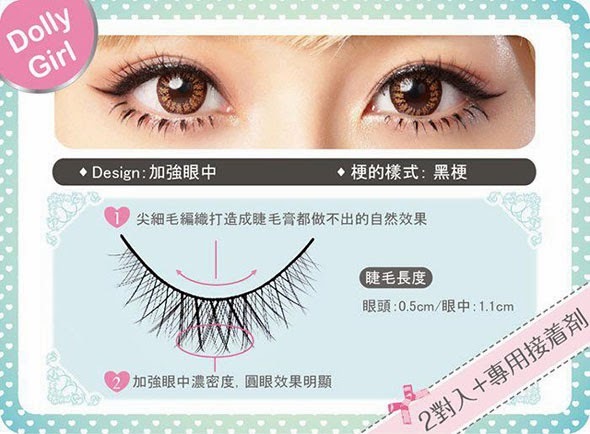 The "line" on the lashes is pretty thick I I find hard time applying it. The glue it self dried so fast and Its a mess when applying it. Maybe I pretty amateur in applying false lashes. Haha. I would wear this again for some glam occasion, and night look. Its pretty light on the eye too. Love this one too but, this one goes 2nd place! Which one would be your favorite? I like the no.2. So natural!! thank you dear! hehe.. harini sab pakai yg no 1 tu org igt bula mata betul haha! hehe.. glam sikit yg tu! thanks dear!